After over 5 years since the selection of preferred stadium concept and a decade after the launch of stadium overhaul effort, Real Madrid is finally just months away from actual reconstruction. Yesterday in Madrid president Florentino Perez and mayor Manuela Carmena celebrated that fact during a press conference. The mayor even went as far as to call the process a true calvary. Hopefully, one with a happy ending. 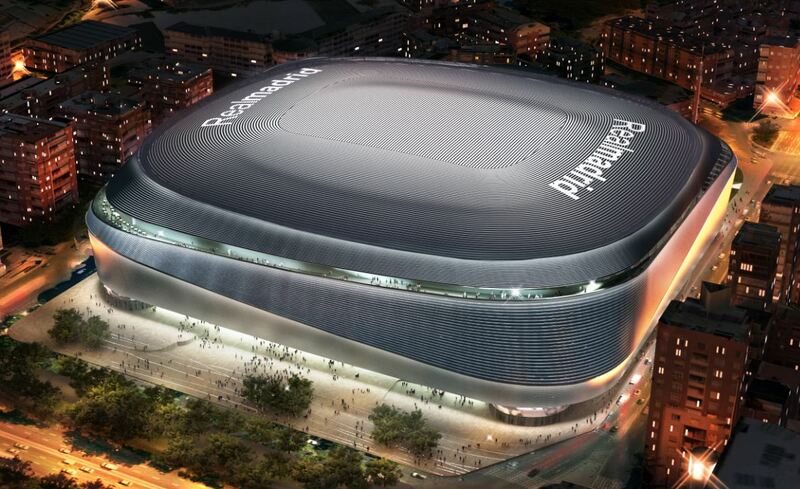 According to a statement by Perez, Real should have financing secured just next week and by the end of April contractors should be appointed for first works. Reconstruction should begin as soon as the season ends. This will be the case each time for the next 4 years, because the goal is to deliver crucial works between seasons. All remaining work, that would not collide with match schedule, will be carried out throughout the year. Outcome of ongoing changes will gradually become visible over the 4-year schedule and should be truly impressive. 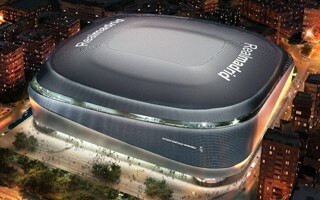 Wrapped in metallic, multimedia facade, the stadium is expected to be Madrid's landmark even more than it already has been. Even if the extent of works is smaller than planned back in 2014. 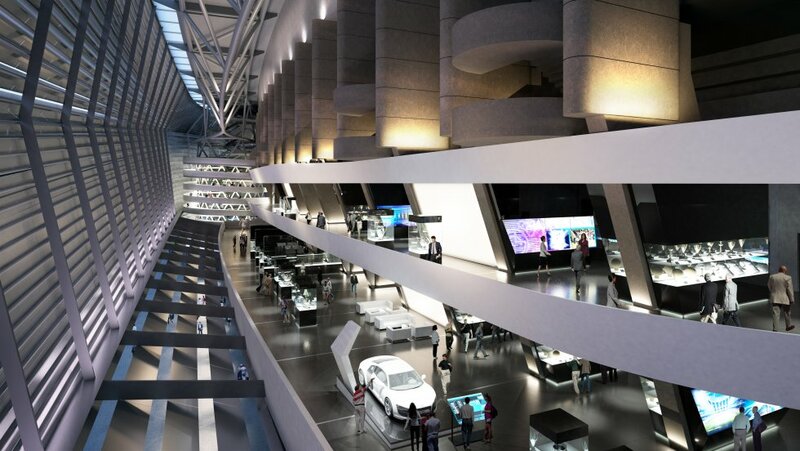 Bernabéu will retain almost exactly its current capacity just above 80,000 (compared to over 93,000 planned initially) but will gain a retractable roof, panoramic screen, futuristic outer form and extensive commercial uses, including retail, hotel and hospitality facilities. The latter parts, combined with added sponsorship value, should result in annual influx of extra €150 million compared to current budget. If revenue is to rise so much indeed, then it's surely worth the price. Even if price tag has increased from opening €400 million to current €525 million. As much as €25 million is the cost of financing structure behind the project. But with fixed and reasonable annual instalments Florentino Perez considers this a great opportunity. With no reasons to doubt in this year's “groundbreaking” we should note that work will begin on the very top of the stadium, not at ground level. First thing to do is removing the current roof in order to make room for changes. One of them is the expansion of east stand, which will become the single tallest one. Second, supports for the new roof will be installed, creating a steel crown. Next summer the stadium may be ready to see the most spectacular phase: big lift. 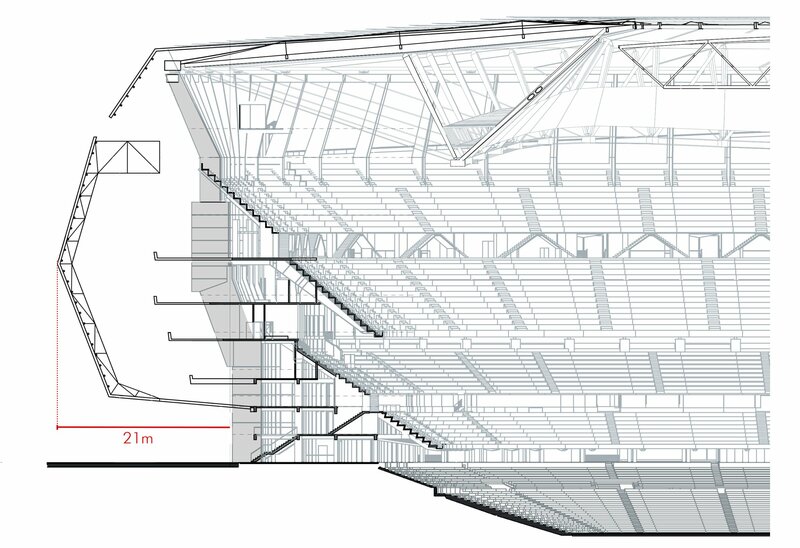 Tensile cable roof should be assembled and raised into place after the 2019/20 season, giving the stadium its new peak at 12 meters above current height. Expansion of the west stand will be a separate phase, resulting in a new public plaza along Paseo de la Castellana. The stand's facade will move 21 meters towards the street itself, creating enough room for new floor spaces inside, dedicated to retail and hospitality, also possibly the hotel. Once the west stand is ready, all of the stadium should begin to change its appearance, gaining the lightweight facade. Roof cladding and the retractable segments should also come near the finish line in 2023, making the stadium weather-proof.